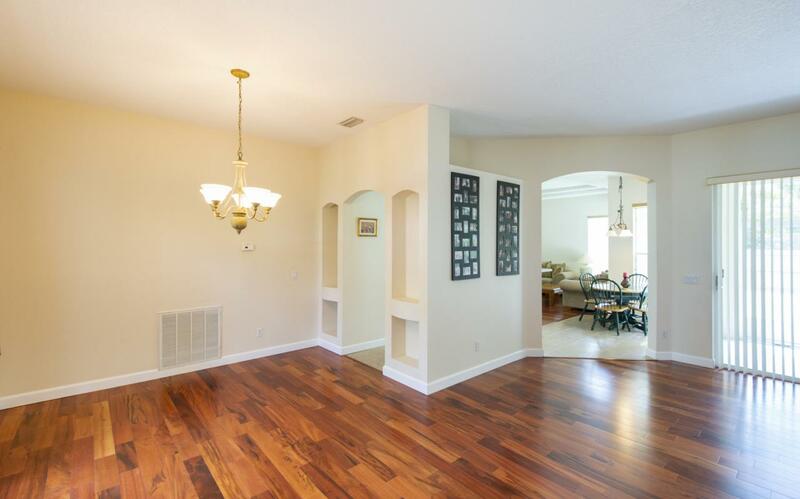 Discover this beautiful Three Bedroom, Two Bath CBS home with Two Car Garage large Screened Porch and Fenced Yard. 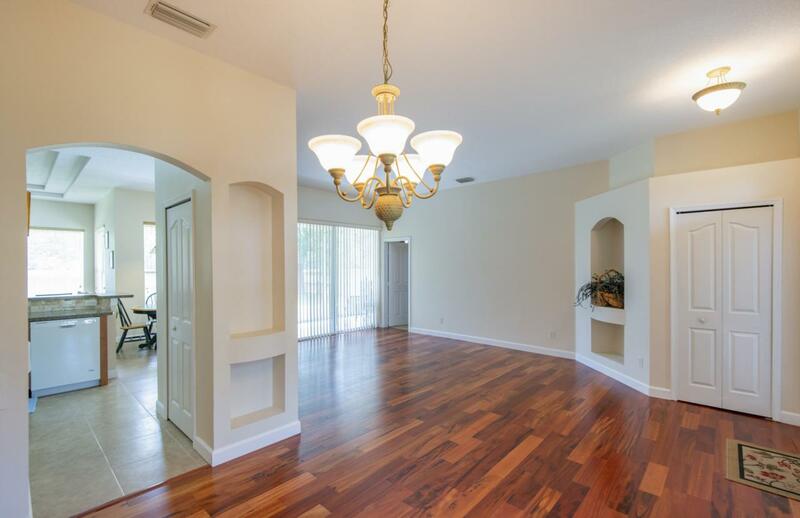 You will love the wide open floor plan that features Brazilian hard wood flooring, a formal living room, formal dining, family room and gourmet kitchen with breakfast bar. 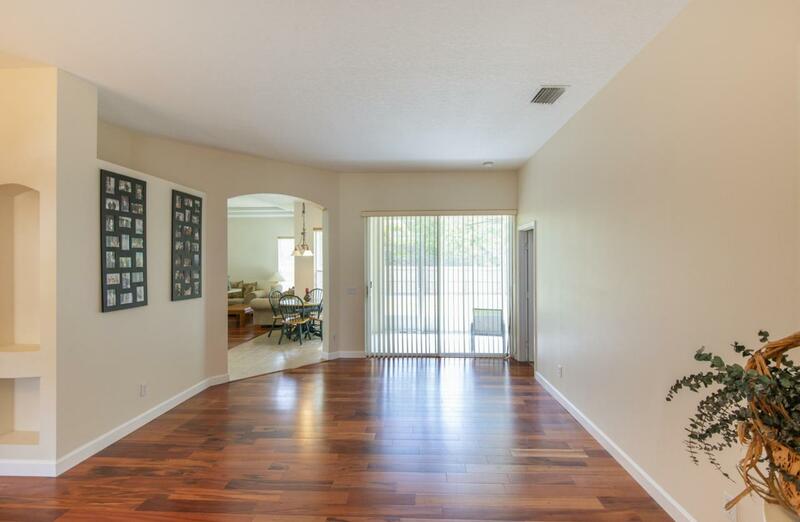 The Master Bedroom features dual walk-in closets, designer cut out, and vaulted ceiling. The master bath has double sinks, roman tub, and separate shower. The home is on city water and septic and has an inside laundry room, and comes with all storm shutters. 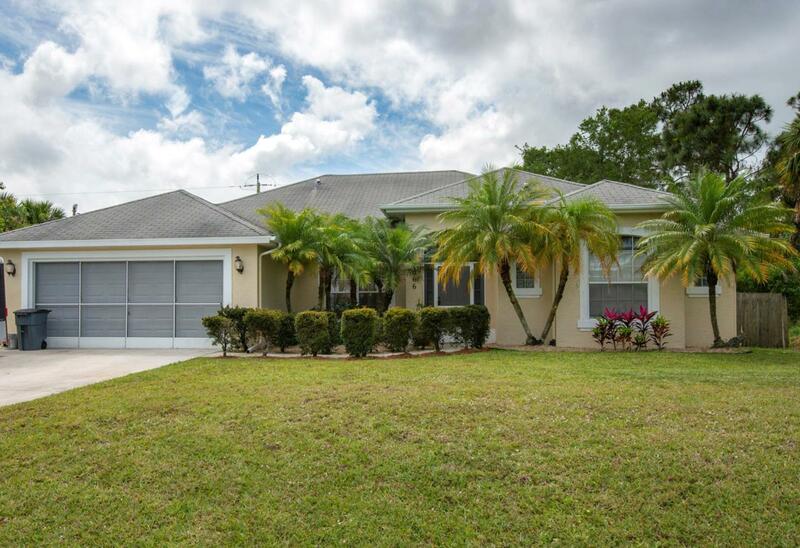 Excellent location that is convenient to I95, FL Turnpike, shopping and schools.